You know this thing about Kulipari Games? Join the Kulipari, the best team of frog fighters in the outback and help them defeat the scorpions and spiders in the upcoming war, by playing the wonderful Kulipari Games on our website! By playing Kulipari Games you will be transported into an incredible world like none you have ever seen before, so go ahead and start playing right away! In Kulipari Games you can find 3 games that we've published for these kids and childrens that are interested to play Kulipari Games, this game gategory have been created on 31.05.2016. These games with Kulipari Games have been voted 1 times and the avarage of vote is 5.00 stars. We advice you to play the last flash game from Kulipari Games, Kulipari Memory that have been published on 01.06.2016 06:07. Kulipari Memory its a part of Kulipari Games category and until now its played 868 times. Try it now on Cute-Games.com! If your like the Kulipari Memory game you can write a comment in the game page. Recommend this game to your friends if you like it! Kulipari Coloring its a part of Kulipari Games category and until now its played 1432 times. Try it now on Cute-Games.com! 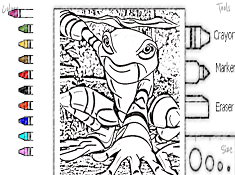 If your like the Kulipari Coloring game you can write a comment in the game page. Recommend this game to your friends if you like it! Kulipari An Army of Frogs Puzzle its a part of Kulipari Games category and until now its played 1217 times. Try it now on Cute-Games.com! 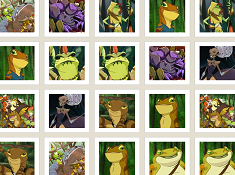 If your like the Kulipari An Army of Frogs Puzzle game you can write a comment in the game page. Recommend this game to your friends if you like it! Find More About Kulipari Games! You will definitely love the Kulipari Games category of our website, a category which we have added because we love our visitors, and we love to be able to offer them as many original and interesting games for them to play, and we think that the addition of the Kulipari Games category is one of the best decisions we could have made. Netflix, the streaming giant everyone knows and loves is currently expanding it's database of kid's animated shows, as they are acquiring and producing new shows that are set to air in 2016 and 2017, and Kulipari: An Army of Frogs, is one of those series. Kulipari: An Army of Frogs is the full title of the show, but we named the category Kulipari Games, because we know that this is how you will be serching for the games on the internet, and we want to simplify things for you as much as possible, so that you get the best possible experience on www.cute-games.com! Kulipari is a very special animated show, one which is based on a book trilogy for children with the same title. It was written by former NFL star Trevor Pryce. He was inspired to write the books by his fear of frogs when he was a child, so he took his fear and insecurities and made into a series of wonderful books which we will now finally get to see animated. Now, we will use the space in this description to tell you more about the world of the Kulipari novels and the animated show from Netflix, so that you will be eager to play the great Kulipari Games we have added and which will be added in the future, just for you! The action of the show takes place in Amphibilands, where the frogs have lived since the dawn of time, and they have been protected by the Kulipari, and by a spell that was cast by the turtle king. Now, the two main enemies of the frogs, the spiders and scorpions armies which now have banned together to attack and destroy the land of the frogs. Now, let's get to know your friends and your enemies, all which you will encounter and play with Kulipari Games on our website. 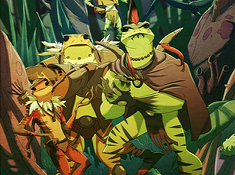 Burnu is the leader of the Kulipari, and he is the most fearless warrior of them all, as he thinks that he and his four members team will be able to save the world of the frogs by themselves. He is the kind of warrior who first acts, and then thinks. Darel wants nothing more than to follow in his father's footsteps and become a Kulipari, and maybe even lead them. He has the disadvantage of not having gotten the gene of poisonous attacks that his father had, but still, his heart is in the right place, so he will do his best to help out all the time. Dingo is a female frog, and the mos fast member of the team. She is also able to shoot arrows at incredible speeds, her only flaw being her being the most talktive and annoying member of the Kulipari. Ponto is the biggest and most powerful member of the team. Still, he is not stupid at all, as he also acts as a sort of doctor, and he does not talk much, but would rather act and do the right thing all the time. Quoba is the most serious of the Kulipari, and she is the most unpredictable, as she has the ability to become almost invisible, so that her targets never see her coming, defeating them using stealth. Turtle King Sergu trained all the Kulipari, and is the one who has the most powerful magic powers. He has protected the realm they live in for many years, and he is the most respected of all frogs. Queen Jarrah is the leader of the spiders, and she was once a pupil of King Sergu. She allied herself with Marmoo and his army of scorpions in order to conquer the outback, but still, their relationship is not a strong one, but one made on interest. The Kulipari will now face their greatest threat, and the war between the frogs and the united army of scorpions and spiders will be at the center of Kulipari: Army of Frogs. Will little Darel manage to become a Kulipari and help defeat the enemies? We will see. Well, with all that we have written here, we hope that we got you interested in the Kulipari Games category on www.cute-games.com, where we will make sure that all the new Kulipari Games will be added as soon as they show up, and who knows, maybe we will even make some original Kulipari Games ourselves. We hope you will have a great deal of fun by playing Kulipari Games here on our website, and if you do, you can always tell your friends about the Kulipari Games they can also play for free, only on www.cute-games.com!